Travelling south from Coban on the bus, we snaked through the green mountainous scenery of the Alta Verapaz region, followed by the cowboy and ranch region of Sacatepequez before reaching the unmistakable city of Guatemala. 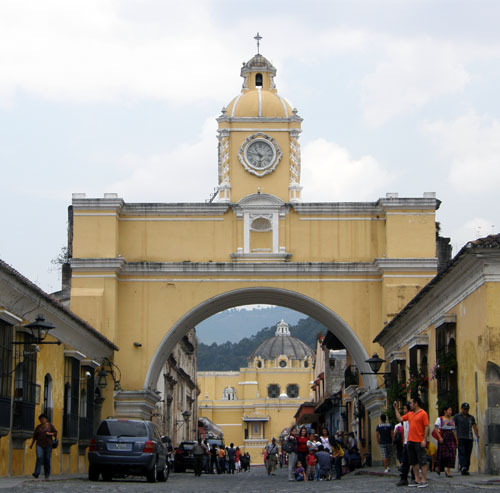 Once in Guatemala City we took a taxi to the chicken bus terminal and took the colourful bus for a further hour’s drive to the old city of Antigua, a UNESCO World Heritage site. We spent the afternoon looking for a reasonably priced hostel and were amazed to find many places full or simply too expensive for what they offered, proving to us that Antigua is indeed a tourist hotspot. We eventually found a nice hostel called Banana Azul located near the bus station and for a very affordable price. Despite its obvious affluence, Antigua too has a richer side of town and maybe not a poor side, but definitely a more affordable side of town. The west side is home to the 5 star hotels and expensive restaurants whereas the east side is where you will find the market and more affordable eateries, making your stay a little more affordable! 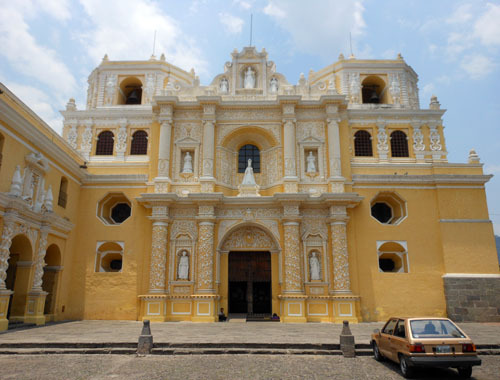 The heart of Antigua is made up of 9 blocks by 9 blocks and is filled with beautiful buildings, from postcard perfect houses to baroque styled churches and people relaxing in plazas. 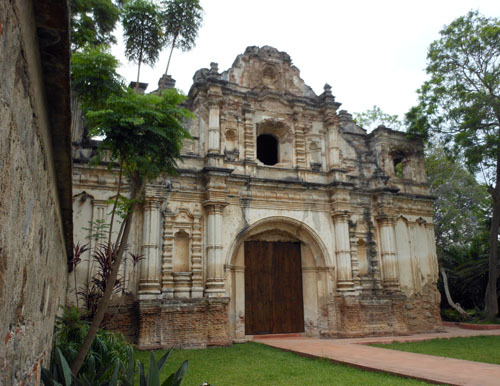 However, the true beauty of the city lies within its history. 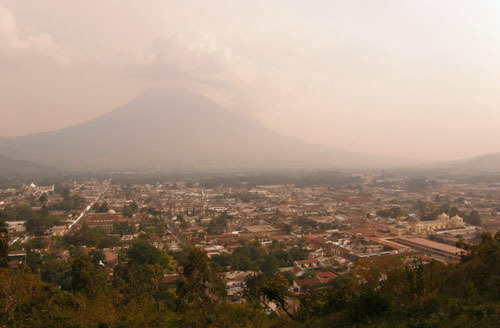 The former capital of Guatemala, had its title removed following 2 devastating earthquakes in the 18th century as the authorities deemed it too dangerous to maintain as the capital. 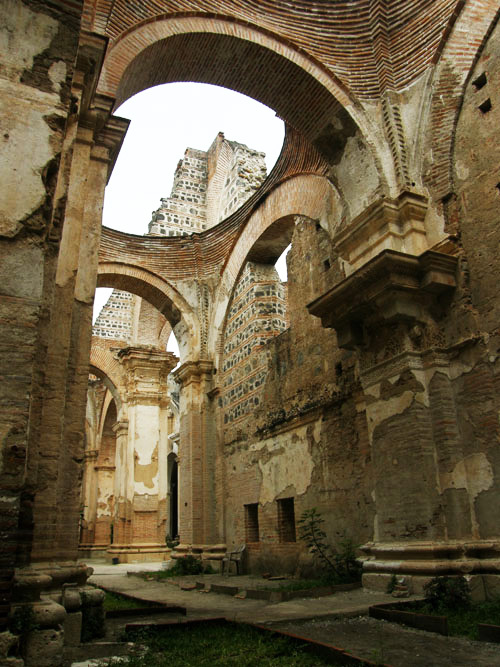 The widespread damage caused by the earthquakes shows on the many buildings which partially survived, this now creates an awe-inspiring glimpse of the city’s previous life. So much so that you virtually stumble across a piece of history at every corner. 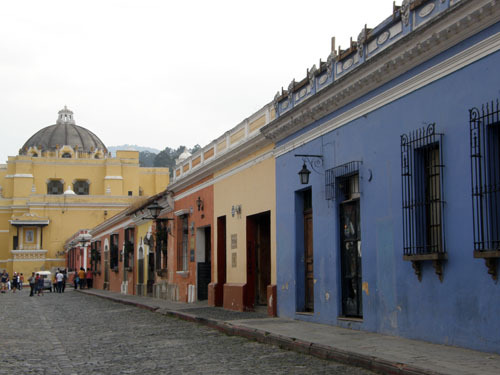 With Vulcan de Agua towering over the city like a quiet sentinel, the paved cobblestone roads lined with brightly coloured buildings and history dotted at every corner, Antigua really is a unique and wonderous city begging to be explored. For a truly breathtaking view of the city and the volcano head up to the Cerro de la Cruz, from where you will have a bird’s-eye view of Antigua and the surrounding area. As a note you should ideally make the trip with either a large group or a tour guide as the path up is through a wooded area with not much surveillance. 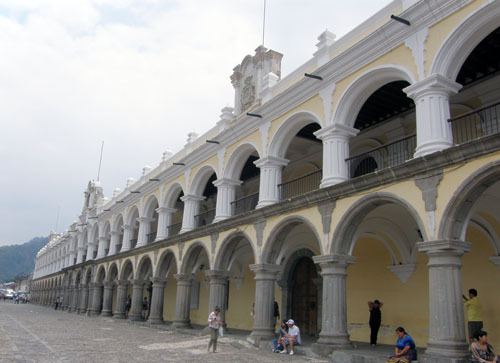 You can pick up a tour guide from the main plaza and the walk is about half an hour each way.